The five member team comprising Dr. M. Mayilvaganan, Ms. Nasima Khatoon, Ms. Sourina Bej, Prof. Rajaram Nagappa, Dr. Amit Mukherjee, from International Strategic and Security Studies Programme (ISSSP) at the National Institute of Advanced Studies (NIAS), Bangalore visited Tawang in Arunachal Pradesh in India-China border from April 02 to 28, 2018 as part of a research study on better understanding of the border communities and their perception about borderland security and development. 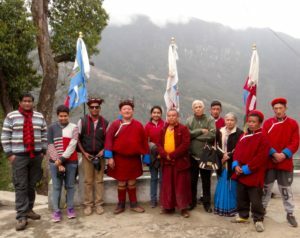 The team visited Tawang town, Jang, Mukto, Lumla, Zemithang, Lumpo, Bleting, and Bumla. During the visit the ISSSP team met State and Central government officials, officials in public enterprises, Village Heads, People from hospitality and trade industries, College and School Faculties, Students, and Non-Government Agencies, among others. 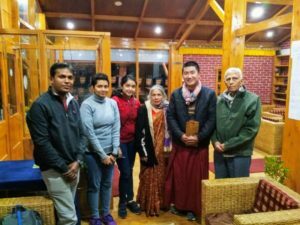 The visit was an attempt to gain a comprehensive understanding of the changes taking place within the Monpa community, people’s aspiration, the requirement related to the development of their region and their links with New Delhi. The three member team—Dr. 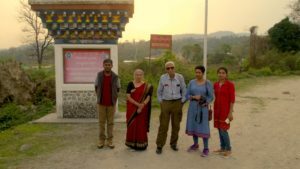 M. Mayilvaganan, Ms. Nasima Khatoon, Ms. Sourina Bej—also visited Itanagar, Guwahati and Kolkata, part of meeting officials, scholars and data collection. Associate Professor in the International Strategic and Security Studies Programme (ISSSP) at the National Institute of Advance Studies (NIAS), Bangalore.